Are you nearing 40 and having trouble seeing things up close? Is it getting harder to read in low light situations? Are you depending on reading glasses more and more? If so, you are probably becoming presbyopic. Presbyopia is a natural condition, which develops gradually over time, affecting your ability to focus up close. However, with proper vision correction, seeing your best is easy. If you have good distance vision without wearing glasses, sometimes all it takes is a good pair of reading glasses to make your near vision more comfortable. This can also be a good strategy if you wear contact lenses for your best distance vision, but are now having some difficulty up close. Traditional bifocals have a separate lens for reading. There is a "jump" in focus. The top of your bifocal is designed to help you see best at distance. The bifocal insert is measured by your Skyvision Center doctor to provide you with your best reading vision at near. Progressive bifocals, like the Varilux Physio and Ipseo lenses provide a smooth transition from distance, to intermediate, to near vision. 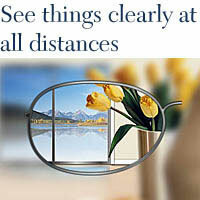 A central “column of clarity” allows natural vision at all distances. The optics of these lenses are usually in an hour glass shape, and the specific shape is unique to each brand of progressive bifocal lens. 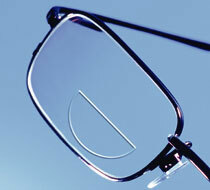 Progressive bifocals are available in many types of lenses. Transitions color changing lenses, Thin and Lite 1.74, and even Maui Jim sunglasses can be made with a progressive bifocal prescription. Wavefront measurement is the technology behind custom LASIK. When your Skyvision Center doctor performs custom LASIK, the treatment is chosen based on your individual wave front analysis. With the Varilux Physio lens, Varilux engineers are now able to use wave front technology to manage the quality of the wave front passing through a progressive lens in order to achieve optimal acuity. Just like custom LASIK, the Varilux Physio is a lens designed to dramatically reduces or eliminates higher order aberrations, and provides unsurpassed progressive lens performance. The Varilux Physio lens specifically corrects for the higher order aberration called Coma. This provides extra sharp distance acuity. All progressive addition lenses generate astigmatism, especially in the intermediate zone. Varilux W.A.V.E. technology is able to give wearers up to a 30% wider field of vision by adjusting this astigmatism to make vision more clear. 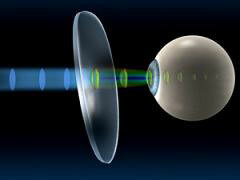 This technology also stabilizes power in the reading area of the lens, allowing the eye to use a larger area of the lens.